Hiro (Ryan Potter) is a genius teenager living in San Fransokyo, a mysterious future place which is part America, part Japan. After seeing the magnificent university where his brother Tadashi (Daniel Henney) studies, he is inspired to give up his life of street robot fighting and find a way to use his genius in a different way. 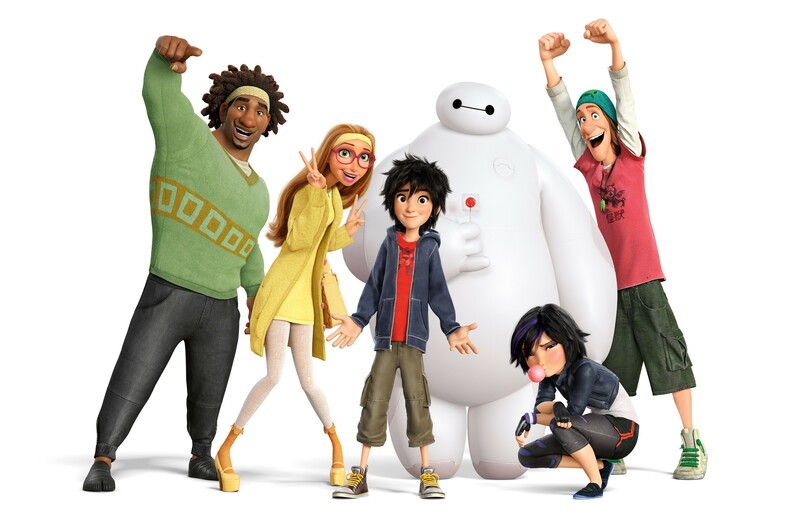 But then tragedy hits, and Hiro is left with Baymax (Scott Adsit), a blow-up medical robot Tadashi created. Hiro, Baymax and Tadashi’s colleagues from the university suit up and try to beat the baddie. It’s a great film, with lots of sad moments, but also a lot of very funny moments. Baymax is absolutely gorgeous and delightful, and I challenge anyone to not totally love him. I think some sensitive children may find it a bit overly emotional, but it is really good film. Plus, there are more than one female character, and they are useful, and not everyone is white. That’s nice for a change. Big Hero 6 was nominated for an Oscar for Best Animated Feature Film of the Year, for a Golden Globe for Best Animated Feature Film and for a BAFTA for Animated Feature Film. It’s the future and robots are all over the place helping folks out. Del Spooner (Will Smith) is a cop haunted by his past. He was in a car accident where two cars ended up in a river. He was saved by a robot, but watched a young girl in the other car drown. But he is deeply suspicious of robots, and so when scientist friend Dr Alfred Lanning (James Cromwell) is found dead, apparent suicide, he investigates further. Helped by Lanning’s assistant Susan Calvin (Bridget Moynahan) who believes in the science and the power of the rules of robots that protect humans, he investigates as the robots revolt. I loved the styling of this film – a hint of the big sci-fi films of the eighties, such as Total Recall, and the robot with a human face was creepy enough to be… well, creepy. It’s not a new concept, but it was an interesting take on the whole ‘robot revolution’ thing. Plus, Will Smith is a great action hero. 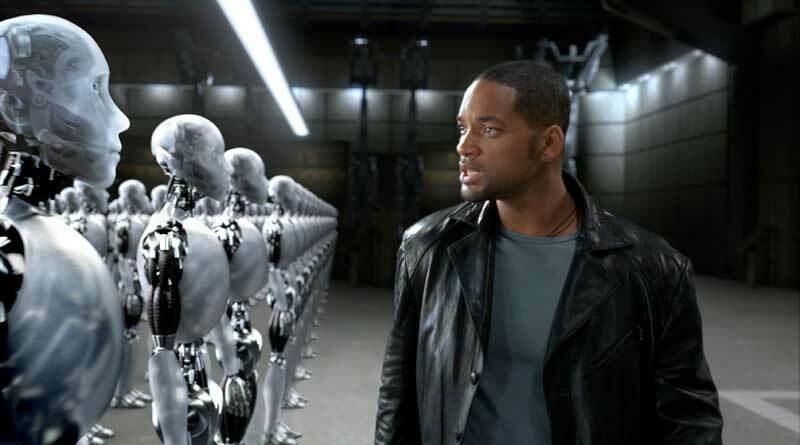 I, Robot was nominated for an Oscar for Best Achievement in Visual Effects. Alison (Katherine Heigl) takes her sister Debbie (Leslie Mann) out partying to celebrate her new onscreen role on a television entertainment show. He meets Ben (Seth Rogan) who is out partying with his stoner friends. They spend the night together and then, a few weeks later, she discovers that she is pregnant. The film takes them through the discovery and up to the birth with them trying to form a relationship with each other and prepare for a baby. It’s pretty average. There are certainly fun moments, but there seemed to be no reason for it to go on the way it did. I could not figure out why on earth they would pursue a relationship given how much they really didn’t get along. But luckily, it seemed that having the baby meant they will have a happy life. Whatever.